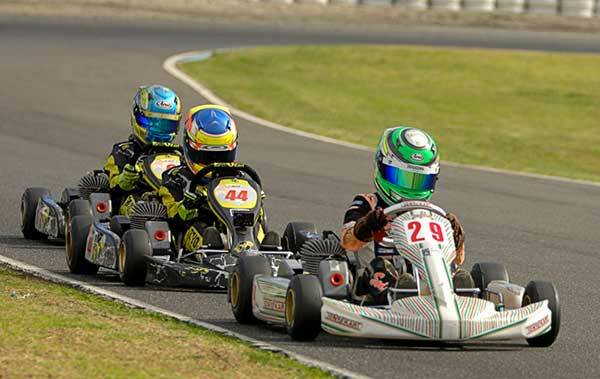 Young Auckland karter Liam Sceats claimed ‘top Kiwi’ status at the 33rd City of Melbourne Titles meeting in Australia on Sunday, with a podium spot (third) in the hotly contested Cadet 12 class. With fellow young gun Louis Sharp from Christchurch, and Melbourne-based Wellingtonian Ashleigh Stewart, Sceats, 11, was one of three New Zealand drivers competing at the annual Go Kart Club of Victoria meeting at the Todd Rd kart track in central Melbourne. Sceats and Sharp earned the right to compete at the meeting by winning their respective classes (Sceats Vortex Mini ROK, Sharp Cadet ROK) at the 2016/17 Manawatu & TRC Toyota WPKA Goldstar Series. 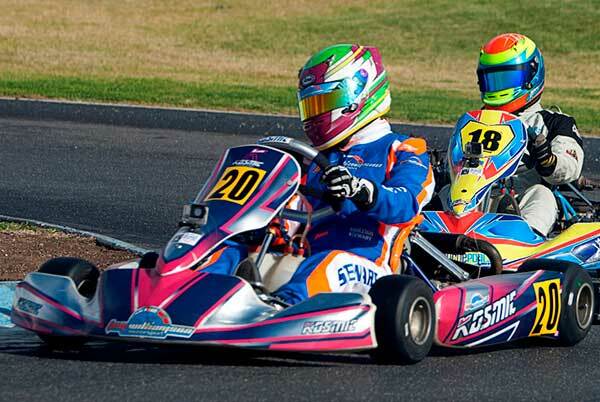 The pair were driving brand new Tony Karts with ROK engines supplied and run by the Tony Kart Australia team as part of a prize pack put together by New Zealand Tony Kart and ROK importer Supreme Kart Supplies & Engines and Manawatu & TRC Toyota. Ashleigh Stewart, meanwhile, competed in the TaG125 Senior class in preparation for her Australian Kart Championship appearance at the Todd Road track over the September 2-3 weekend. Though it was his first time on the Australian Cadet 12 class spec wet tyre, Sceats set the 11th quickest class lap time in qualifying on Saturday morning then improved on that position each time he raced. In the first Cadet 12 heat he finished 10th, in the second eighth and the third fifth. That gave him a P7 start in the Pre Final in which he worked his way up to fourth. That in turn gave him a P4 start for the Final which he finished third behind the driver who was dominant all weekend, Fletcher Harris, who won, and runner-up Hugo Simpson. Initially the young Kiwi had his hands full holding on to fourth spot but he was eventually able to edge ahead and chase down the pair ahead battling for second place. With five laps (of 16) to go he made a pass for third place stick then spent the remaining laps catching Simpson and – on the final lap – trying to find a way past for second. Louis Sharp also had a good meeting in the Cadet 12 class, qualifying 16th (out of a field of 33) and after working his way forward in each heat (to 13th in Ht 1, 10th in Ht 2 and eighth in Ht 3) finished an event-best sixth in the Pre-Final before a hard-earned 12th place in the Final. Numbers-wise the TaG 125 senior class Ashleigh Stewart contested was the biggest with 49 starters and a multi-heat format to whittle the field down to 36 for the Pre-Final and Final. Despite missing out on a clean qualifying lap, which saw her disappointed with her 20th quickest time, Stewart also worked her way forward in each heat – to eighth in the first two then 11th in the third – and was looking good for a top 10 placing in the Pre-Final only to be hit from behind and recording her only dnf of the meeting. That meant she had to start the Final from P24, but despite being involved in another incident, managed to keep going this time and crossed the finish line in 19th place. 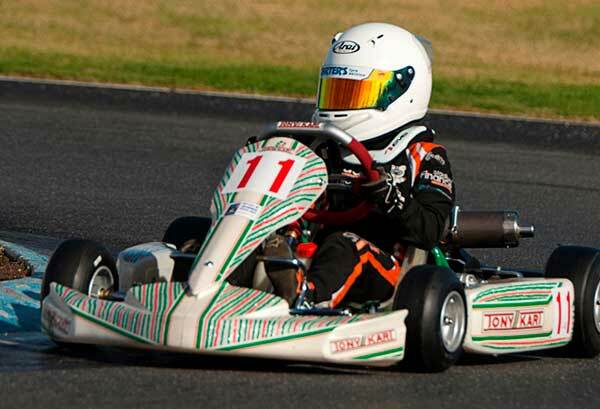 Liam Sceats and Louis Sharp would like to acknowledge the support of the Greg Smith and Tony Kart Australia, Maurice Frost and New Zealand Tony Kart and ROK importer Supreme Kart Supplies & Engines, and the Manawatu & TRC Toyota WPKA Goldstar Series.